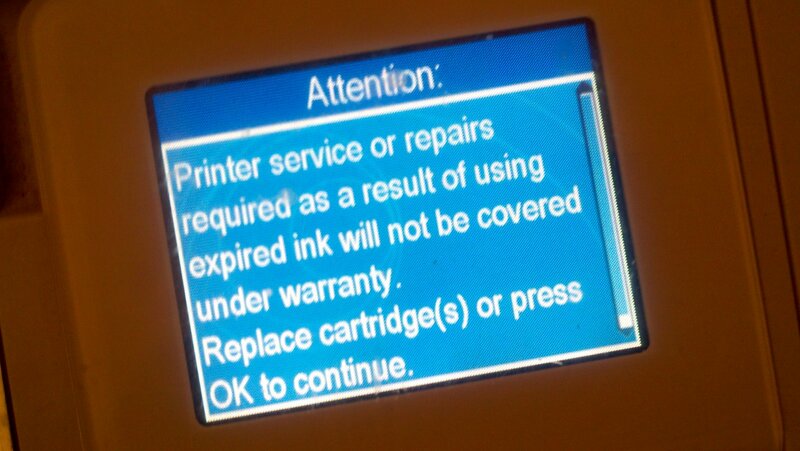 You aren't printing enough! : Is There A Problem Here? : You aren't printing enough! In the rare occasion that you don't use up our very costly ink quickly, your printer is programmed to expire the ink and suggest that it is not safe to print without buying new ink. If you don't keep buying our ink often enough, we'll scare you into buying it. Are our scare tactics working? 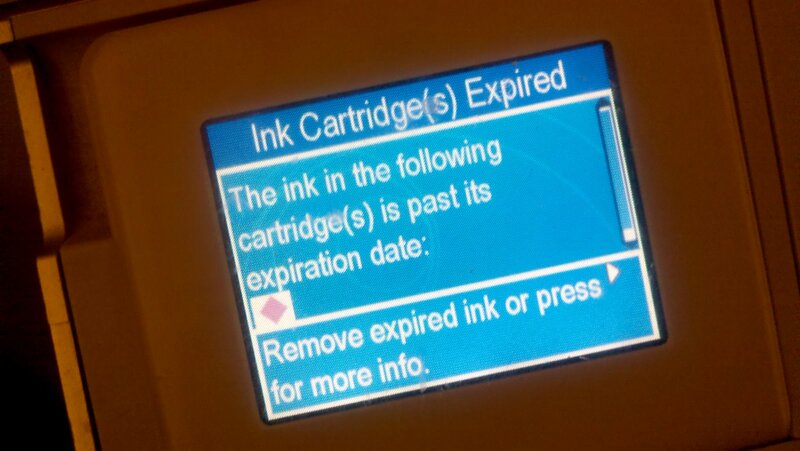 The stupid thing is that some HP printers will flat-out refuse to print if the ink cartridges are past their "expiration date." Yes, please force me to buy liquid that costs more per fluid ounce than human blood. I'd be more than happy to do that despite the fact that I can buy a brand-new printer for the same price.